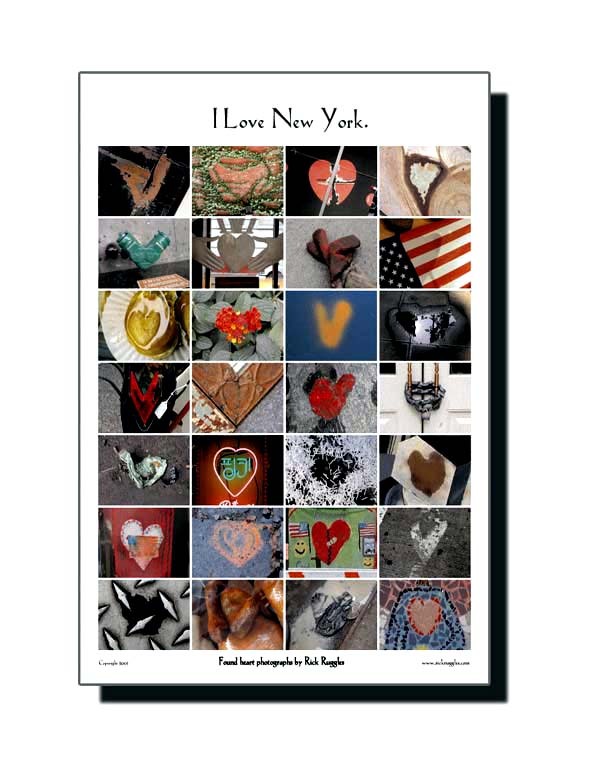 A vibrant new take on my orignal; a mixed collection of 50 photographs from many states and countries. Shipped rolled with key to images. 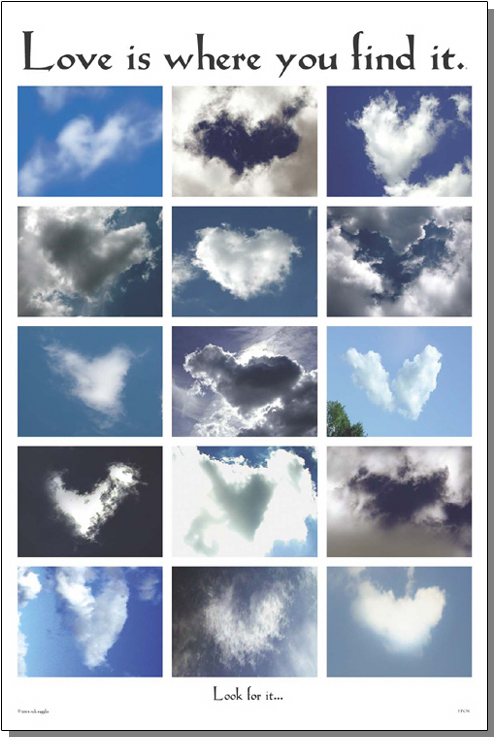 A medium-sized collection of 15 found heart clouds. Shipped rolled in sleeve with brief artist statement. Simply heavenly, and suitable for framing. 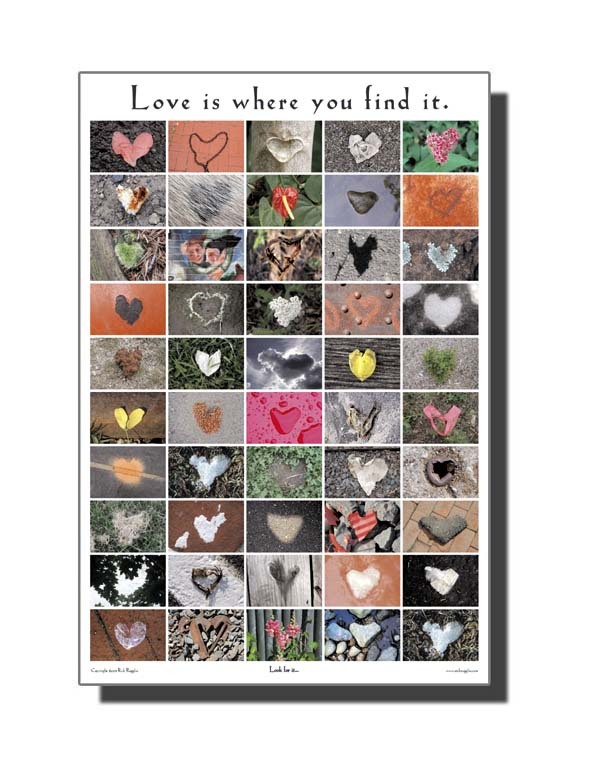 A great reminder that love IS truly all around us. Just look up! 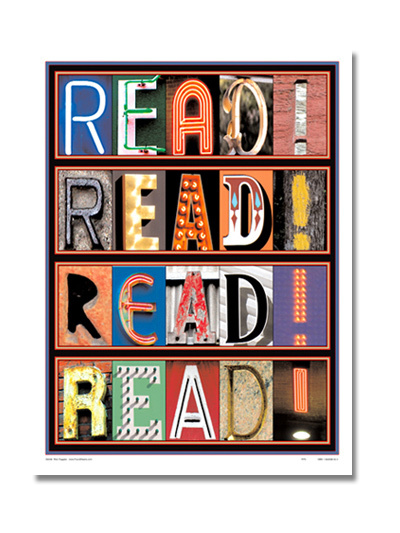 This poster brings the blue, clear sky into any room in the house. Positive and uplifting! The Orignal. 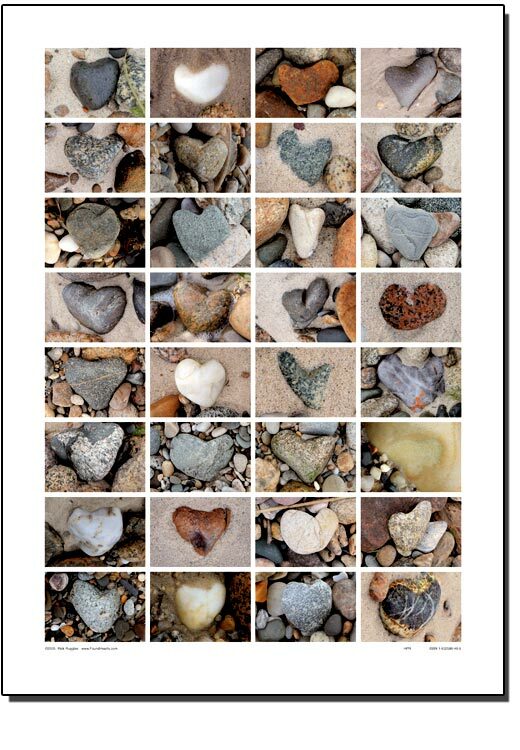 I used my first found heart photos to create this collage. Shipped rolled with key to images. 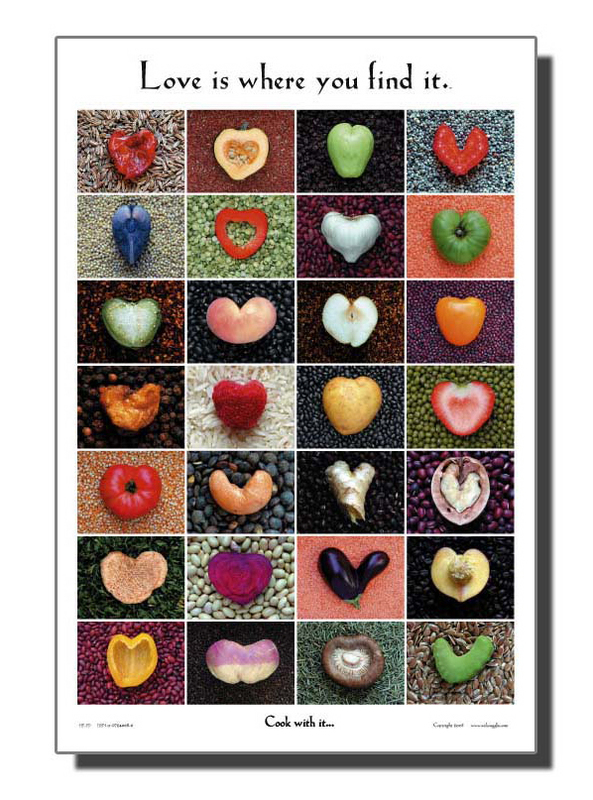 I was inspired to expand my collection of photographs when a friend asked me if I had found any food hearts. So the search began and continues. I scour the produce sections of markets and roadside stands, bringing home the best candidates, resting each on a bed of what suits its color and texture best. Shipped rolled with key to images. 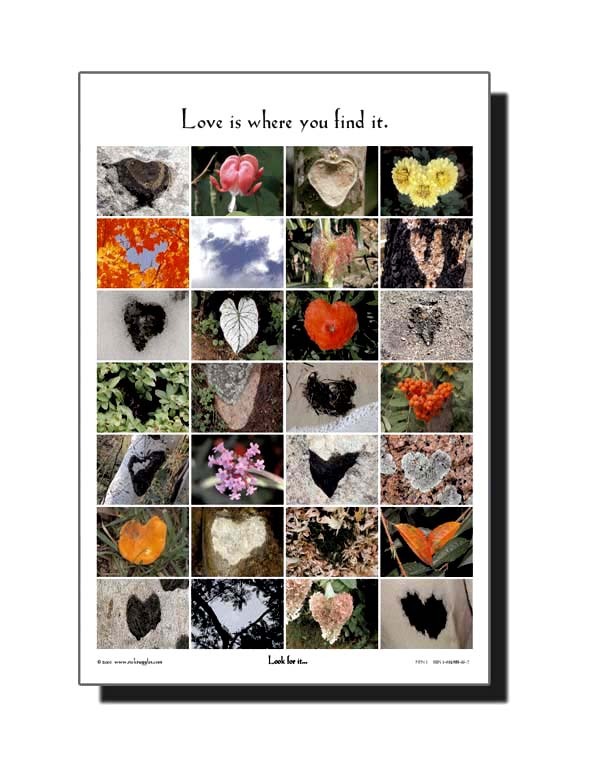 A natural collection of found hearts; this group of images focuses on the nature of love. Shipped rolled with key to images. 28 images from the Big Apple. The city that never sleeps. Shipped rolled with key to images. 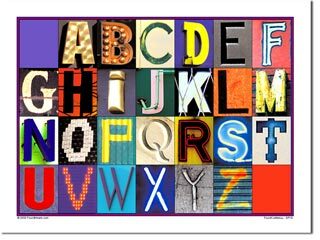 Now you've found your ABC's- a new take on the alphabet. 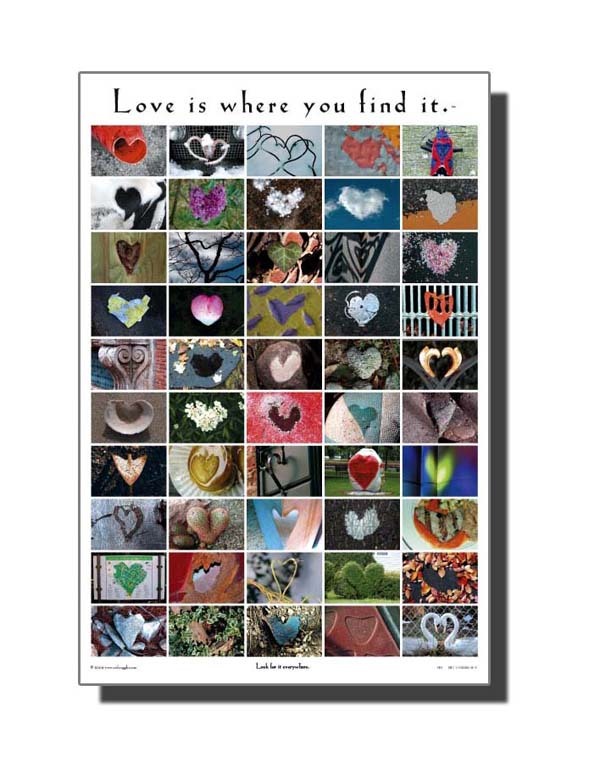 Perfect inspiration for playing " I spy with my eye..." Colorful images captured in many places from a wide variety of signs. 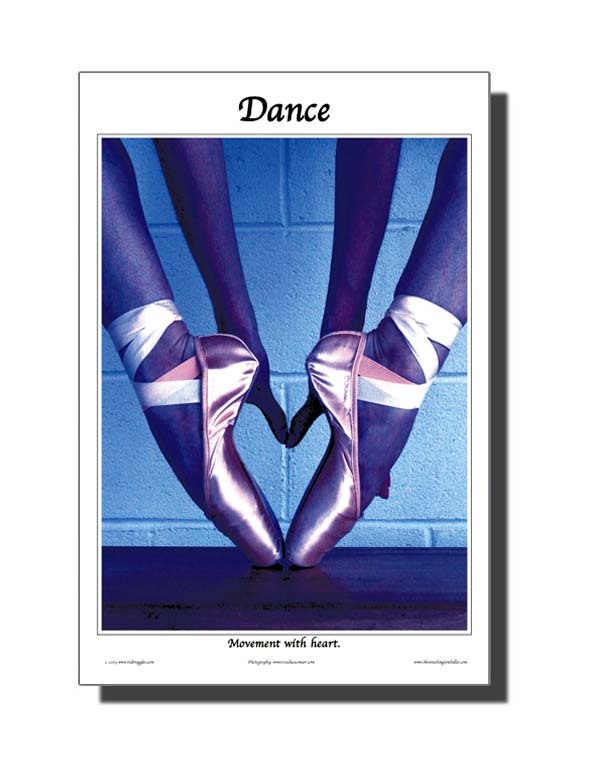 A lovely heart created by the hands and feet of a ballerina with The Washington Ballet in DC. Photographed by Rosalie O'Connor. Shipped rolled.